As I'm returning from DC-2011 in the train I noticed that I didn't blog for quite some time, and never told you about things I've seen and done at various places this year. Let's fix this mistake ASAP. For several years now we have been participating in FOSDEM. This year we had a booth again, manned by several developers. Many lengthy chats happened there. After showing my first attempt at porting JamVM to its author, he looked interested in helping, and eventually this led to Jérôme getting it correctly bootstrapped. I also attended a talk about writing import filters for OpenOffice/LibreOffice. I would eventually someday write one to import old Gobe Productive files I have around. This small meeting of QEMU users was quite interesting for a first. Several talks focused on adding time-exact emulation over existing code. Some of the presentations showed how QEMU was used for digital heritage preservation, including letting people experience user interaction of old operating systems (this should probably also include BeOS someday ;-)). I presented them the various ways in which QEMU helps Haiku developers, including fixing bugs, but also how testing Haiku led to fixing several QEMU bugs. While I did propose a talk at RMLL about Haiku, I almost forgot to ask for a booth. I finally managed to secure one the month before, and it had some success even though I only had half a table the first two days, since we shared it with CAcert. I was quite ashamed when I noticed that the R1/alpha3 Release addendum mentionned that we ship with unusable CAcert certificates. I felt a bit alone though, to represent the project, due to the late organization. 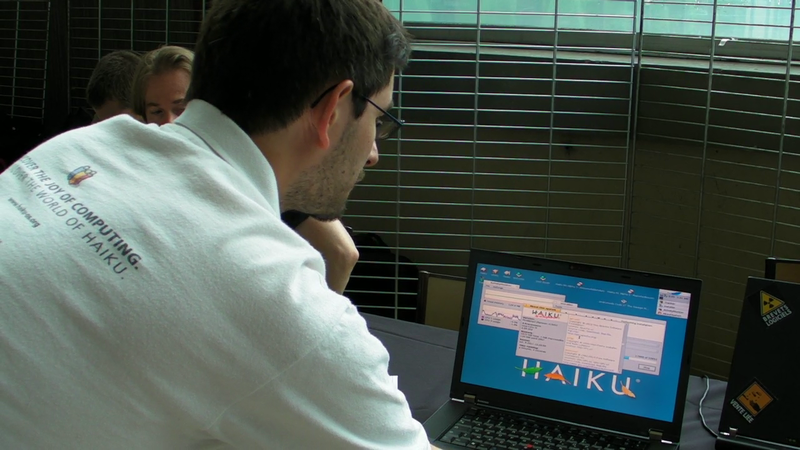 One important thing I did at the booth, with several witnesses and video cameras, was to refuse the Windows 7 EULA publicly, and install Haiku over it! I shall post the video someday. I talked about "What's new in Haiku?" (this title is good, I'll probably reuse it for alpha4beta1 :D) to a little more than 20 people in a large amphitheater. I also talked there about the existing FLOSS tools for the Internet of things, something that is coming upon us and we must prepare for. The political session (without any politician this time) presented the agenda of all the undergoing threats to Free Software and the Internet, like ACTA, software patents, Net Neutrality distortions... I also explained what I, as a citizen, was doing to raise concerns from my MP, including going back from meeting him by foot for 10km, and was awarded a Silver π for my participation to La Quadrature du net's activities. While I didn't go to the CCC specifically to talk about Haiku, I did with a few of the 3000 hackers who were there near Berlin for a week. We also had lengthy talks with people from La Quadrature du Net, the Open Knowledge Foundation and the EFF about freedom on the Internet and the various threats it faces. The badge we got, the r0ket, was quite special. It featured an ARM cpu, LCD display, a radio chip, a joystick, a built-in Space-invaders game and can even be reflashed. It was my first time there and was really delightful. Old planes, knitting, knitting on old planes, old planes and discoballs, weird machines, people with soldering irons mouting their Arduino shield and TV-B-Gone kits, liquid display, lasers and other colorful lights, funky science experiments involving liquid CO2 and static electricity, a sea of tents around data-toilets with ethernet and power cables running between them... We also made a lot of datalove there! The DC conference deals with metadata. Since we make extensive use of file attributes, which are a form of metadata, I proposed a paper describing the issues we currently have when trying to move files between platforms, which usually leads to unusable or missing attributes, and giving a possible solution. While other talks were about much higher-level projects and technologies (they like XML a lot), some people mentionned interest, having faced the same issues on other platforms. During my talk I played a little screencast showing the problem, using Haiku in VirtualBox to move a People file to an NTFS image, then to an ext2 image from Linux, then back to Haiku, with the horrible result of all the attributes ending up with names like "linux.user.META:email" and 'XATR' as type. During several coffee breaks, people came to me and asked about Haiku, some even recalling using BeOS for some time. I handed them some flyers, and some told me they downloaded Haiku and tried it. Another project that cought my attention was the Europeana Linked Open Data initiative, which provides a huge chunk of their database describing collections of many european libraries and museums as RDF (some XML mixture) files to enable machines and humans to do all kinds of processing and searches on them. This gave me the idea of trying to federate the many associations involved in preserving our digital heritage (computers, music, and even demos), to try and submit those catalogs to Europeana, which as of yet doesn't know about Farbrausch! The third edition of fOSSa will take place in Lyon this time. I'm considering showing Haiku again there, as it had nice exposure on previous editions. 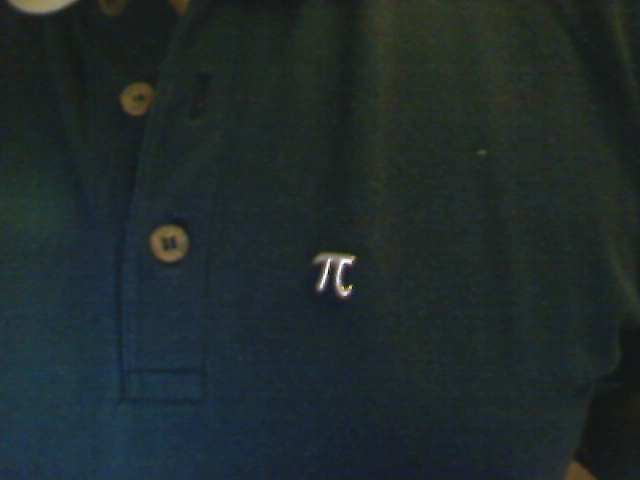 Almost forgot it, but it was implicit! I will likely give a speech about alpha3 at the Alchimie, to people who usually work on Amiga and Atari machines, and other Mac-fans, but as always the crowd there is quite eager to know about other platforms, and it's a bit of a tradition now to tell them every two year how far we've got. The 13th Journées Du Logiciel Libre in Lyon will also be an occasion to showcase Haiku, it's not the first time we've been there, but last year I couldn't make it due to agenda conflicts. While the CCC (Chaos Communication Camp) is only organized by the CCC (Chaos Computer Club) every 4 years, they also organize the CCC (Chaos Communication Congress) every year in december. I never had the opportunity to be there, but I'd really like to this time, so who knows. The dates for FOSDEM 2012 have already been announced, we'll probably be on display there again. Feel free to propose your help for manning the booth by then.